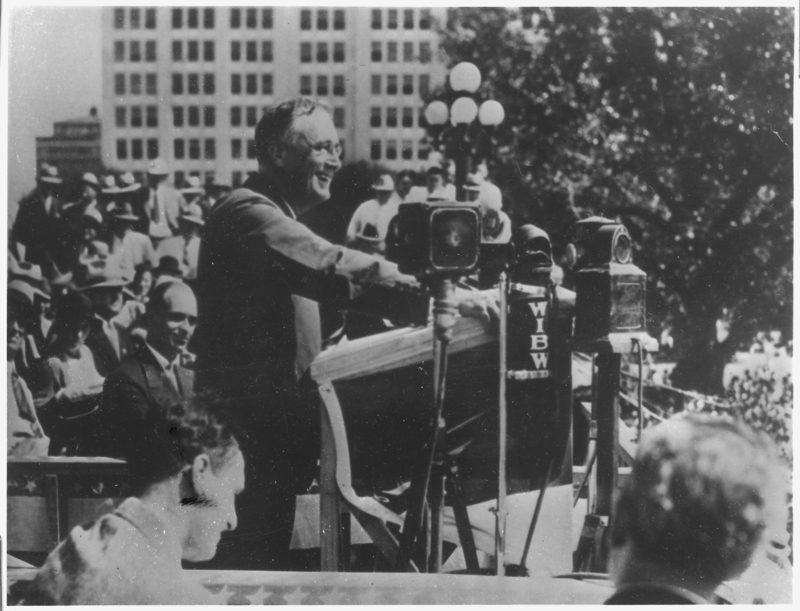 “A new deal is needed in the world,” The Nation said, but FDR was not the man to deliver it. In the run-up to the 1932 presidential election, The Nation ran a series of profiles of the candidates called “Presidential Possibilities.” The ninth and final installment—oddly mislabeled the eighth—was of the sitting governor of New York, Franklin Delano Roosevelt, born on this date in 1882. The truth is that Franklin Roosevelt hauls down banners under which he has marched in the past and unfurls no new ones to the skies…His candidacy for the Democratic nomination has strength because he is all things to many sections of the nation. In the East he is wet and not radical. In the West he is progressive. In the South he is not very wet, after all, and is—thank God—a Protestant. These are priceless assets to a candidate for a nomination. They are, perhaps, exactly the reverse if Franklin Roosevelt is to be judged on the basis of his worth as a possible President of the United States. If it is true that a new deal is needed in the world, there is small hope for better things in his candidacy. If it is true that foreign debts must be adjusted downward and reparations forgotten, there is nothing in Roosevelt’s philosophy, as far as we know, which gives promise of a better day. He calls for palliatives in world affairs, not cures. His domestic program is hardly more stimulating. This may be the reason why, although Roosevelt wins respect for his ability, his candidacy arouses so little real enthusiasm. I see no evidence whatever that people are turning to him as a leader. They may vote for him—I think they will—because they are sick and tired of Hoover and weary of the depression. Curious about how we covered something? E-mail me at rkreitner at thenation dot com. Subscribers to The Nation can access our fully searchable digital archive, which contains thousands of historic articles, essays and reviews, letters to the editor and editorials dating back to July 6, 1865.